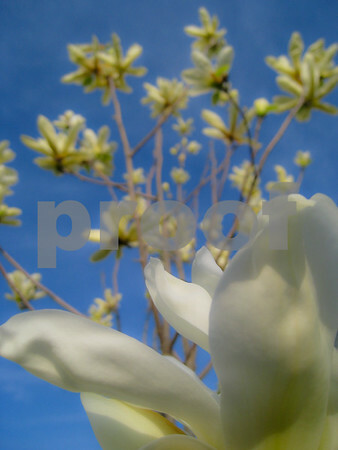 I softened up today’s magnolia shot (very unlike me as I like ‘em sharp). Anywho, the result reminded me of the kind of picture you'd see on cheap greeting cards displayed next to the air fresheners and windshield wiper fluid in gas stations. Seems appropriate coming off yesterday’s tombstone shot. Very nice perspective shot. Great color! It does seem a little like "Springtime Fresh"
Wow - this is beautiful! Soft is an understatement. It's almost feminine. Just kidding.